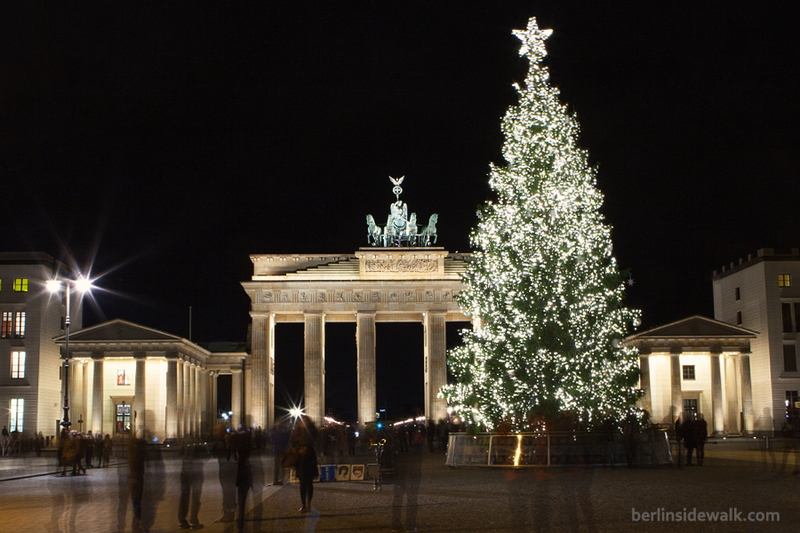 From November 7 – 9, 2014, the city of Berlin celebrated the 25th anniversary of the Fall of the Berlin Wall. 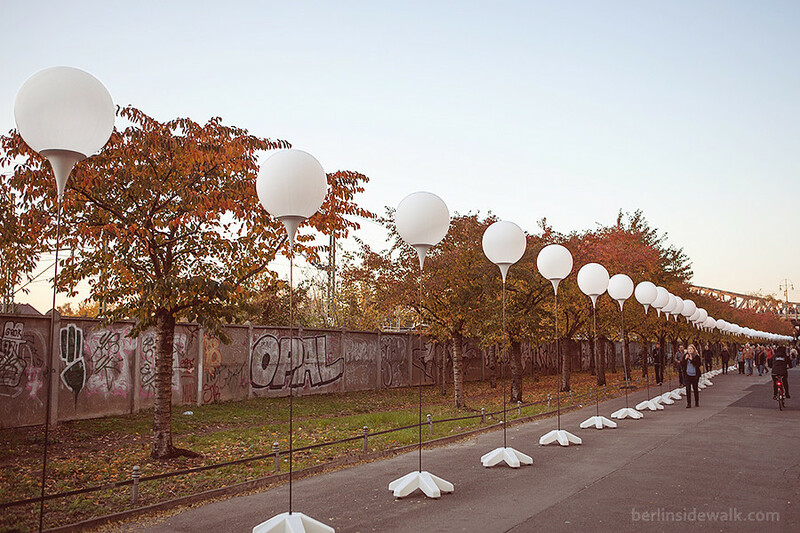 A symbolic frontier of lights, the LICHTGRENZE, a line of 8,000 illuminated helium balloons along the 15 kilometer long path once occupied by the Berlin Wall, divided the city once again. From the Oberbaumbrücke and its East Side Gallery, through Checkpoint Charlie, the Potsdamer Platz and Brandenburger Tor, up to the Bernauer Straße and Bornholmer Straße, which was, on November 9, 1989, the first checkpoint allowing people to pass through freely to West Berlin. On November 9, all balloons were released into the Berlin night sky accompanied by the Staatskapelle Berlin playing “Ode An die Freude“. Again this year and for the tenth time now, the Festival of Lights and the Berlin Shines Festival took place during the first three weeks in October. National as well as international artists presented light installations which transformed the city into a huge stage, numerous landmarks, historical places, streets and other important buildings throughout the city were illuminated with different colors and videos. It’s Earth Hour around the World and millions of people in over 7000 cities in 150 countries across all 7 continents are switching their lights off for an hour to raise awareness for the planet. 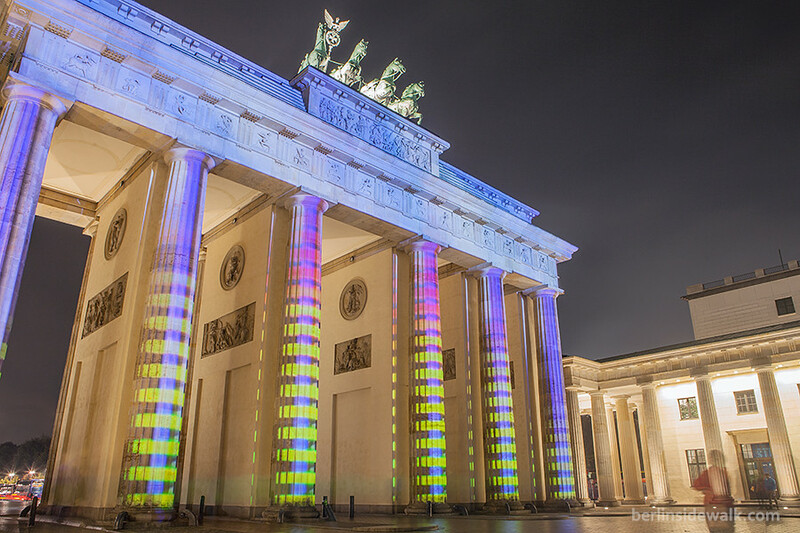 In Berlin, the Brandenburger Tor went completely dark for an hour, together with other famous Landmarks throughout the city and the WWF-Youth performed a special Black-light-Show, forming the words “Earth Hour 2014” and other names and places chosen by the audience. There are many Christmas trees you can see in Berlin, like Sony’s blue light tree at the Sony Center, or the trash tree at Kurfürstendamm. 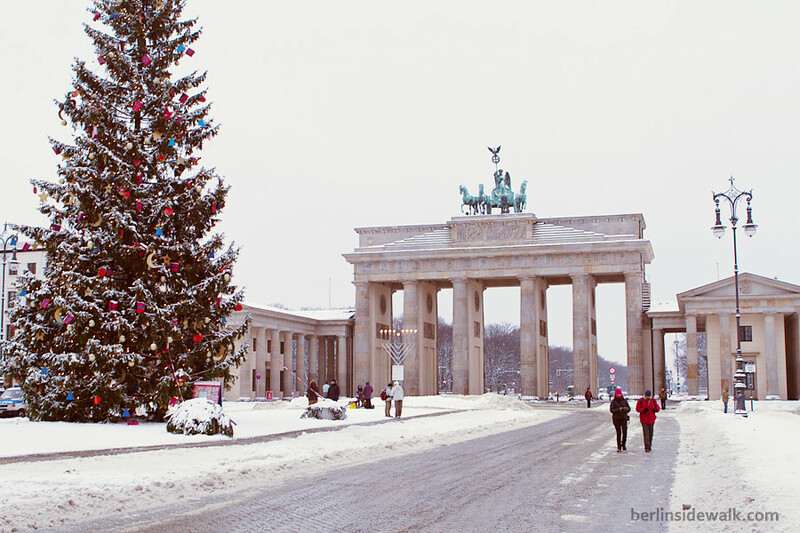 But the big highlights every year are the Christmas trees in front of Berlin’s government buildings, the Reichstag and Kanzleramt and of course the Brandenburger Tor. Replica meets reality, a miniature version of Berlin’s Brandenburg Gate was placed in front of the real Brandenburg Gate today in Berlin. 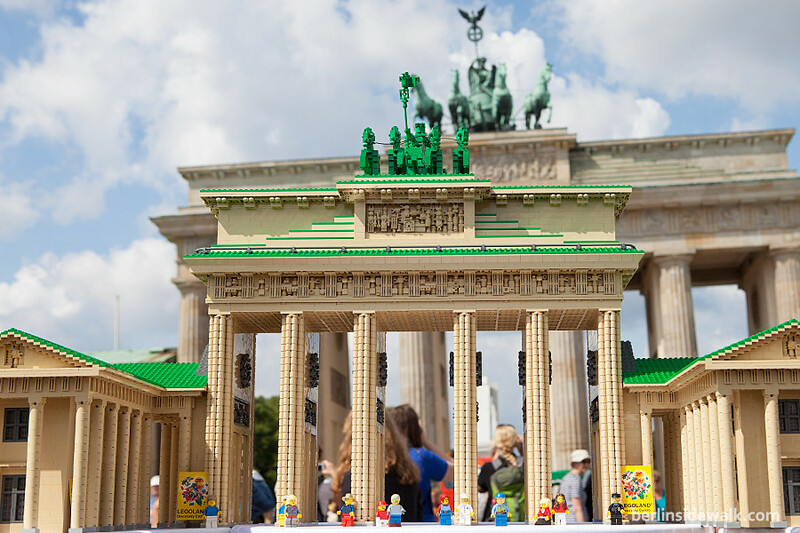 The Gate, with a scale of 1:45, is part of the LEGO Berlin Miniature City and was entirely build with 100.000 LEGO bricks. 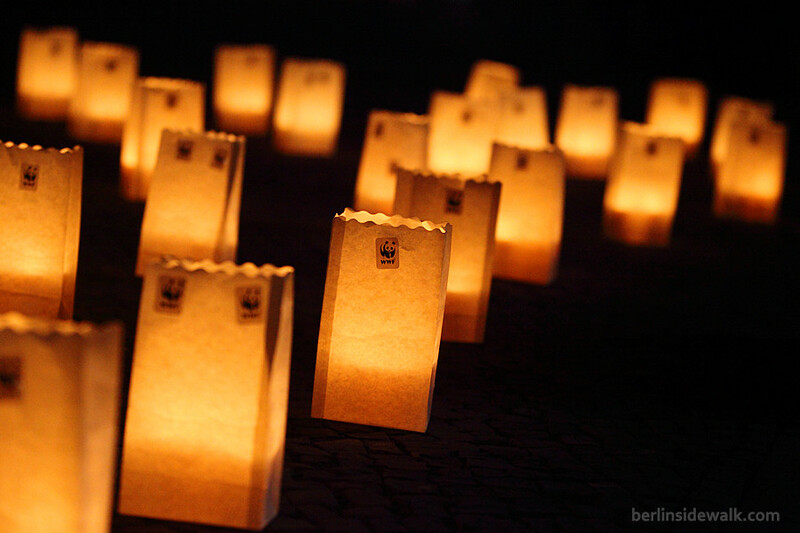 Earth Hour 2013 took place on Saturday, March 23-2013 in over 7000 cities, towns and municipalities in more than 150 countries and territories around the globe and again this year, Berlin was one of those cities. Exact at 8:30pm, the Brandenburger Tor went black for a whole hour and during this hour Singer-Songwriter Ashley Hicklin performed his song “City Lights” unplugged and a neon sign, showing the slogan “Ja zur Energiewende!” was illuminated by a group of WWF Members riding bicycles. Even the most visited place in Berlin rests quietly on an early Monday morning. Berlin Landmarks built of bricks, not the usual kind of bricks, but LEGO bricks. 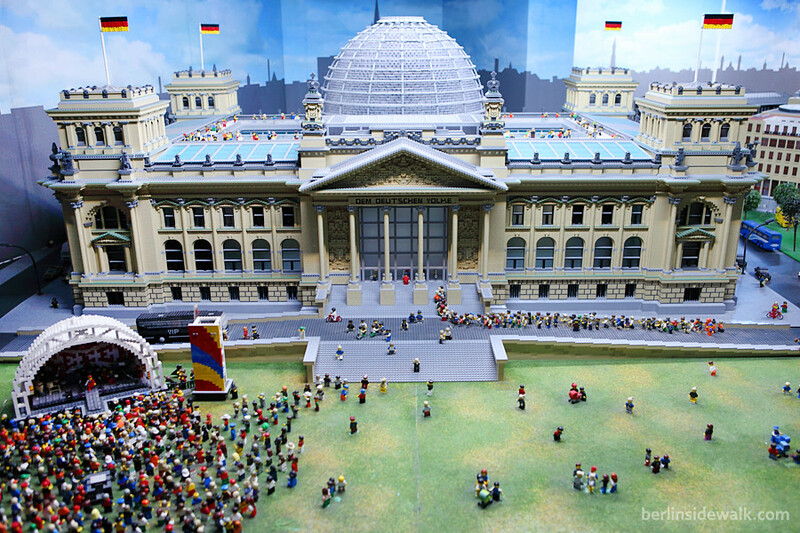 The LEGO Discovery Center Berlin is a huge underground playground with many attractions, but while the majority of those attractions is aimed for a younger audience, the miniature versions of Berlins most famous landmarks are quite impressive. 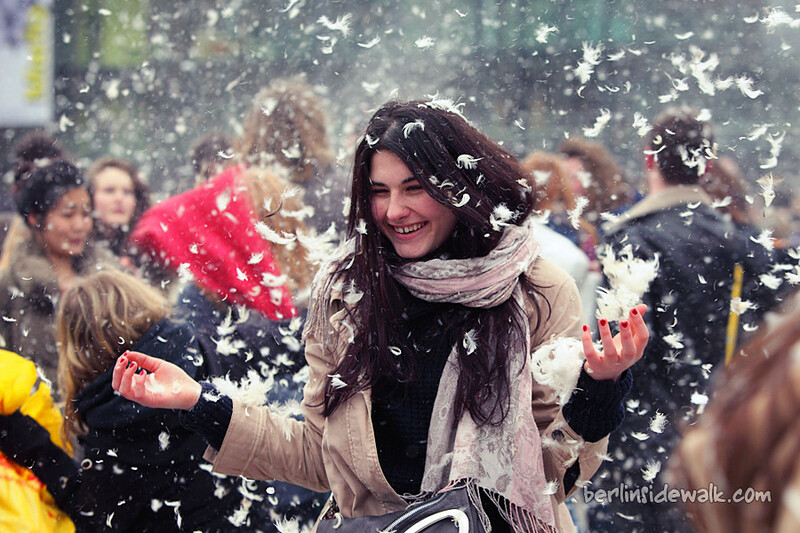 Today was international pillow fights day and cities around the world celebrated this day with a massive pillow fight flashmobs on famous places and landmarks. As you can see, in Berlin, the flashmob was held right in front of the Brandenburg Gate and about one thousand people of all ages fought a merciless war with their pillows, big and small, even though the weather was pretty cold and rainy. More than 5,200 cities and towns in 135 countries worldwide switched off their lights for Earth Hour 2011 alone, sending a powerful message for action on climate change. In 2012, a new record was set, with 150 countries and territories across 6,494 towns and cities around the world. In Berlin, the Brandenburg Gate, the Television Tower and the Red City Hall went completely dark for one hour from 8:30pm – 9:30pm on Saturday 31.03.2012. 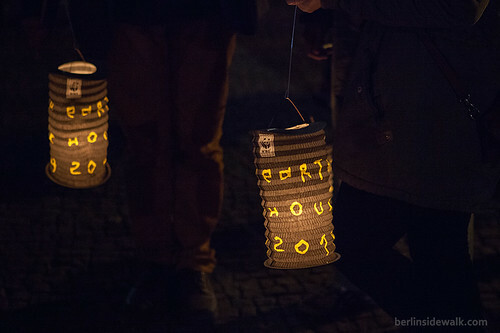 As part of the event, a map of the world was created by the WWF, using hundreds of colored-paper-surrounded tealights in front of the Brandenburg Gate. 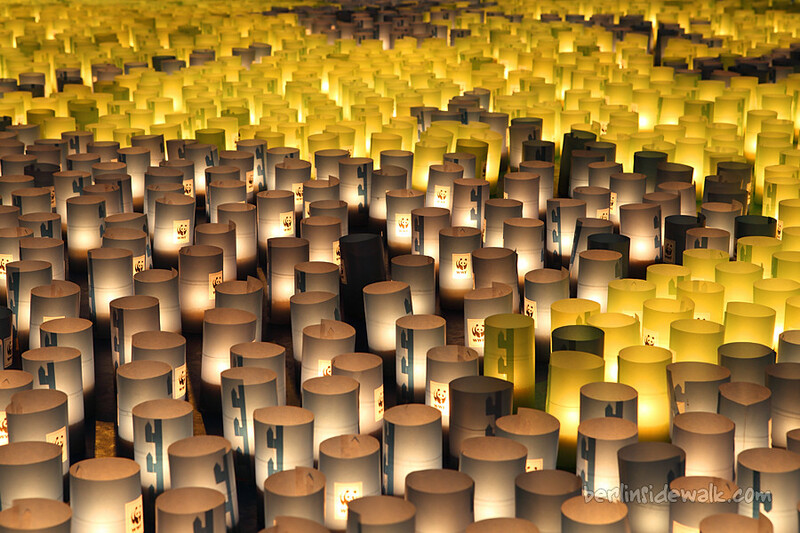 In addition, lanterns designed like the earth were handed out to the audience.